You should be staring at a perfect Easter-themed photo of a luscious lemon pavlova, complete with copious folds of thick double cream and decorated with a mountain of decadent mini eggs. Imagine reading glowing prose describing this egg-cellent* Easter centrepiece and bookmarking the page for your celebrations. However, I forgot to buy lemons and in a very un-Lent-like indulgent evening I devoured every single one of the Mini Eggs (just doing my best, trying to live up to the blog strap-line natch). On a side note, why do the yellow ones taste the best? They are the Spring-time equivalent of orange smarties and the maltesers in boxes of Heros. 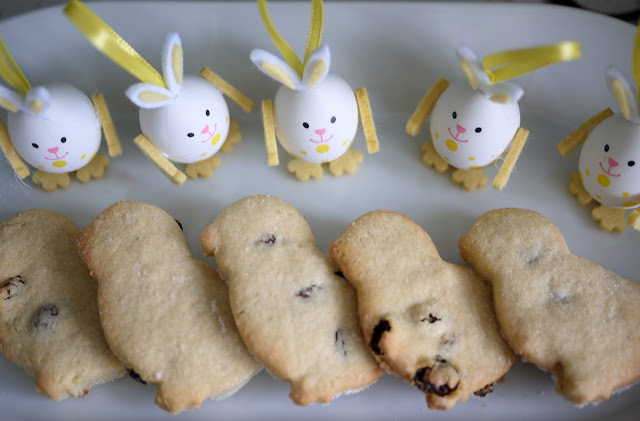 So instead, I present to you these Easter Chick Biscuits. Perfect for dunking into a hot cuppa when sheltering from the inevitably terrible bank holiday weather muttering grumpily that the novelty of snow has worn off so much that we aren’t even entertaining the thought of excitedly retrieving the sledges from the shed this time round. And, ahem, these biscuits are also perfect for when you’ve greedily devoured all the ingredients intended for your first bake. Feel free to add your own slightly-robotic looking decorative Easter bunnies. 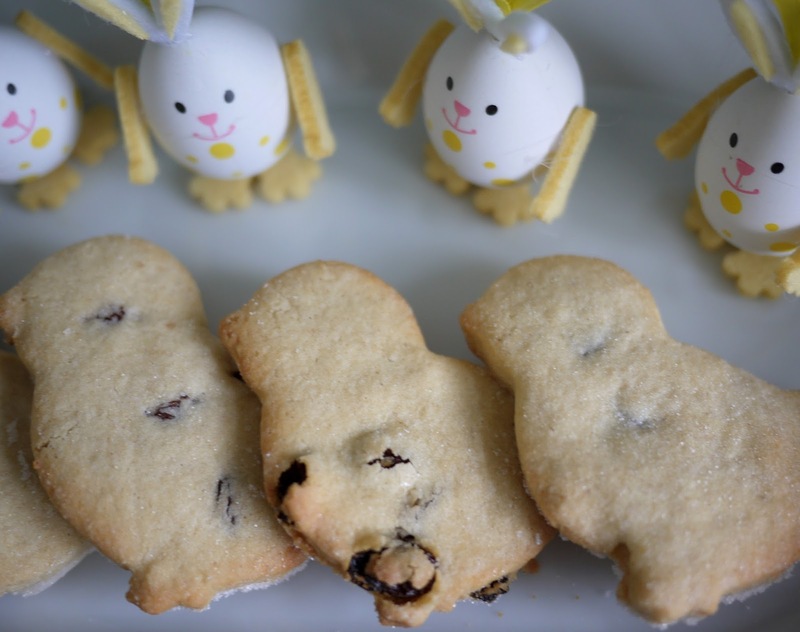 *an Easter blog would not be complete without at least one Easter pun. Believe me, I’ve been very restrained this year.